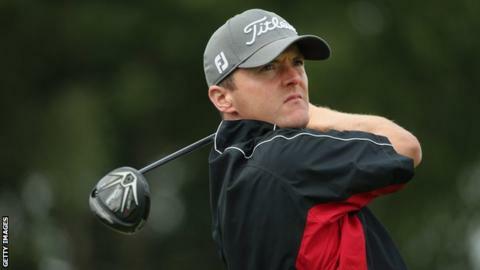 Michael Hoey posted a hole-in-one on his way to an opening round of five-under-par 65 at the European Masters at the Crans-sur-Sierre course. Hoey holed his tee shot with an eight iron at the 177-yard third hole. The Northern Irishman is one of a host of players tied for third place in Switzerland, two behind leader Gregory Havret and one adrift of Lasse Jensen. Hoey went on to record five birdies and two bogeys in the remainder of his round at Crans Montana. Frenchman Havret also recorded a hole in one at the third. Hoey's later effort was the 39th ace on the European Tour this season, equalling the all-time high set in 2006. Ireland's Peter Lawrie is well placed on three under, with Damien McGrane struggling on three over.